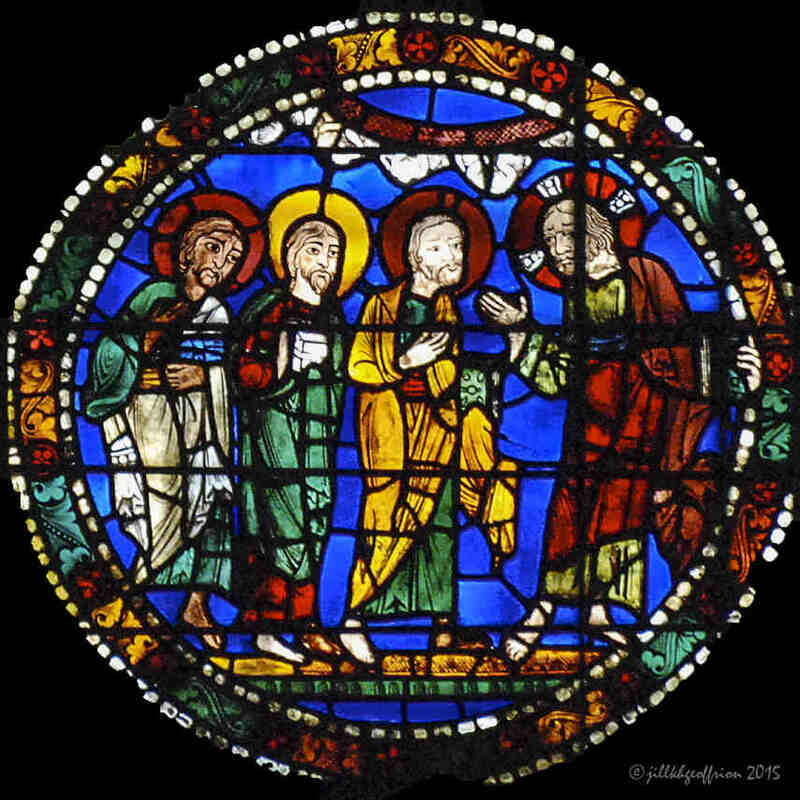 Jesus’ Passion and Resurrection is the subject of the twelfth century stained glass window found on the west wall in Chartres. 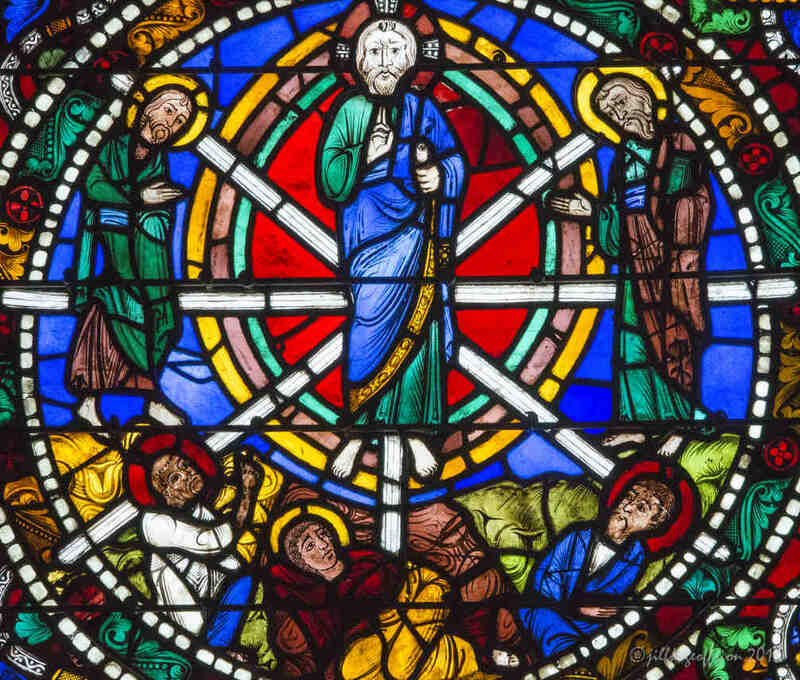 It’s colors and imagery speak of the light of Christ that shines in our world. 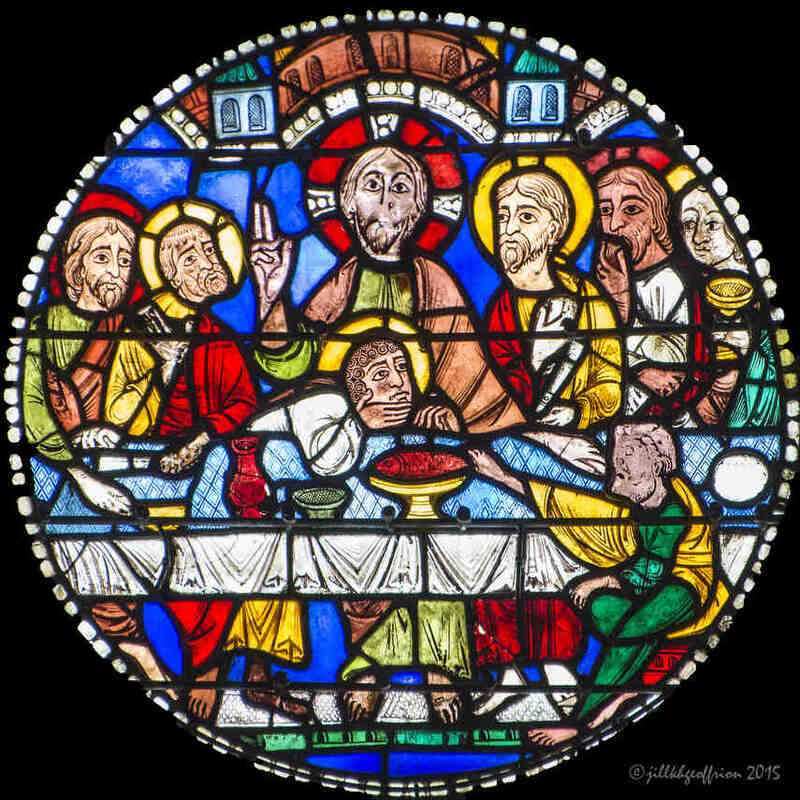 Praying with this window during Holy Week is particularly meaningful, but contemplation of this medieval art always yields much fruit. To begin, it is helpful to face a window and take it in as whole. Notice its colors, shapes and structure. Resist analyzing. Think of this time as a handshake with the window, a true connection, but only a first impression. Open your mind and heart to God. Ask to see what you most need to see. 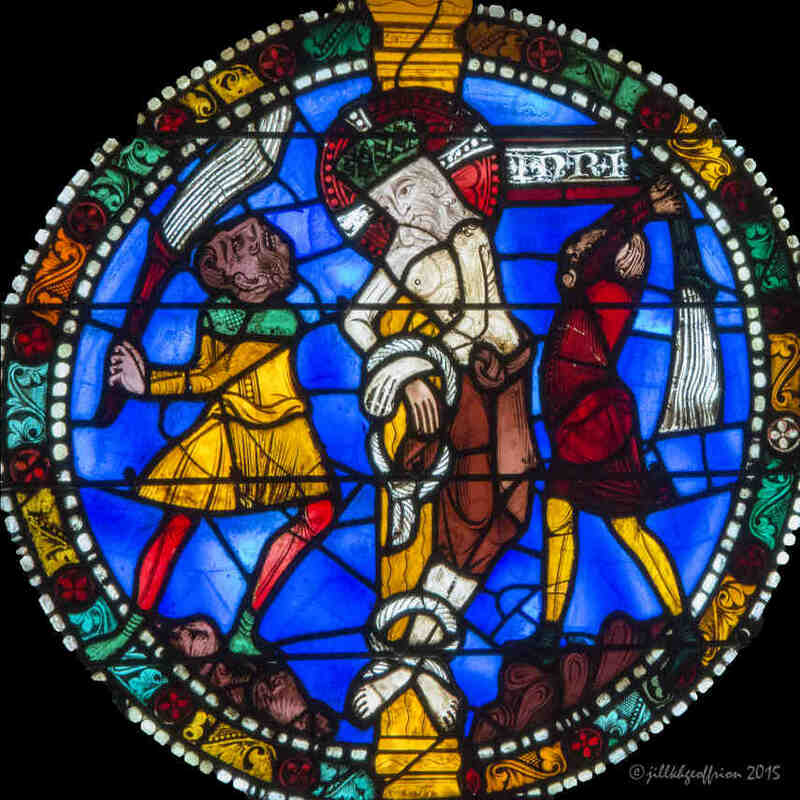 When reading medieval windows, one begins on the bottom (closest to the earth) and on the left (more profane than the right which was considered more sacred). Prayer: Holy Jesus, Your story draws me deeply into God’s grace. Here, surrounded by grace, I wait for your guidance, joy, healing, and hope. 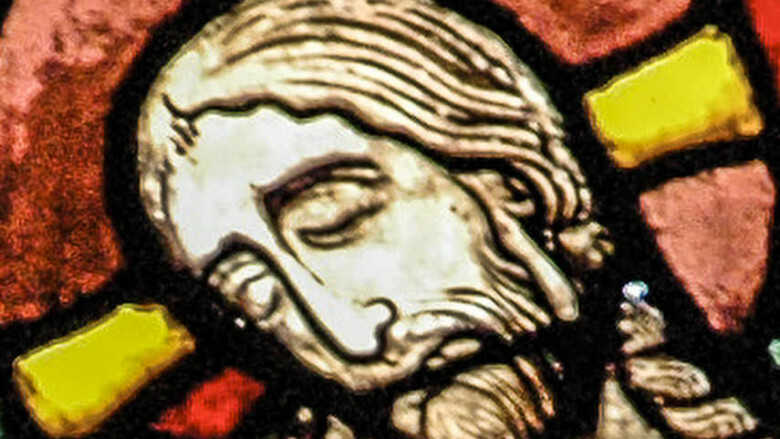 Prayer: Jesus, I’m on the way with you…and I am listening…speak to me… Help me to serve you. Help me to hear what you are saying. Prayer: God, do you exist inside a circle? Am I inside of that circle with you? Can I rest on Your lap? And when what you say is disturbing to me, are you really that unflappable? (I know you are.) I am grateful that I can be with you just as I am. Thank you for that level of acceptance and love. 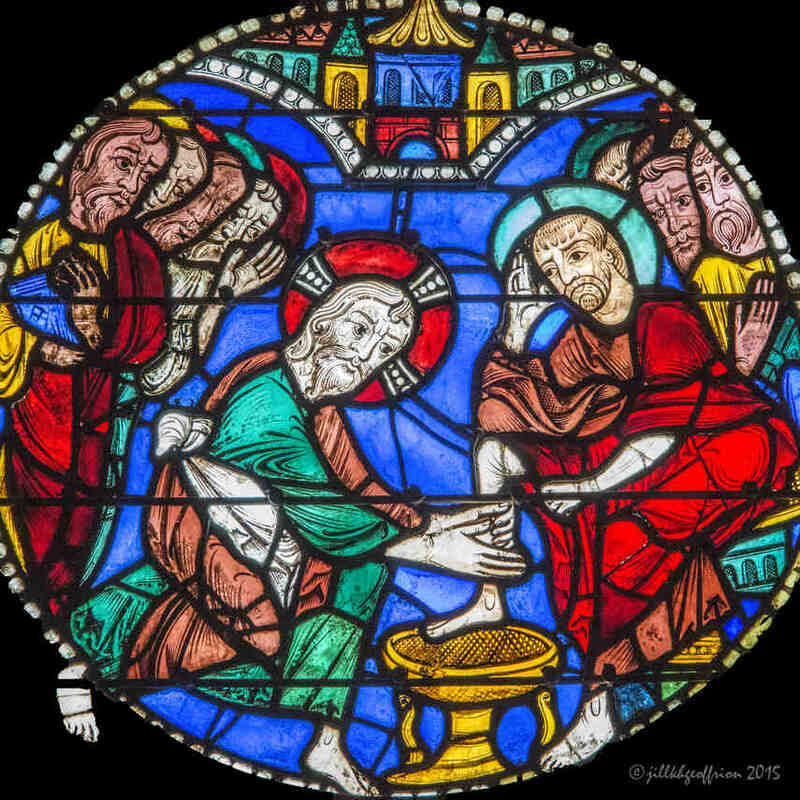 Prayer: Jesus, O Jesus, Washer of Feet, Server of your friends, Lover of our bodies and souls. Let me know you in these ways, I pray.